Totally renovated brick ranch on cul-de-sac in Plainview subdivision. 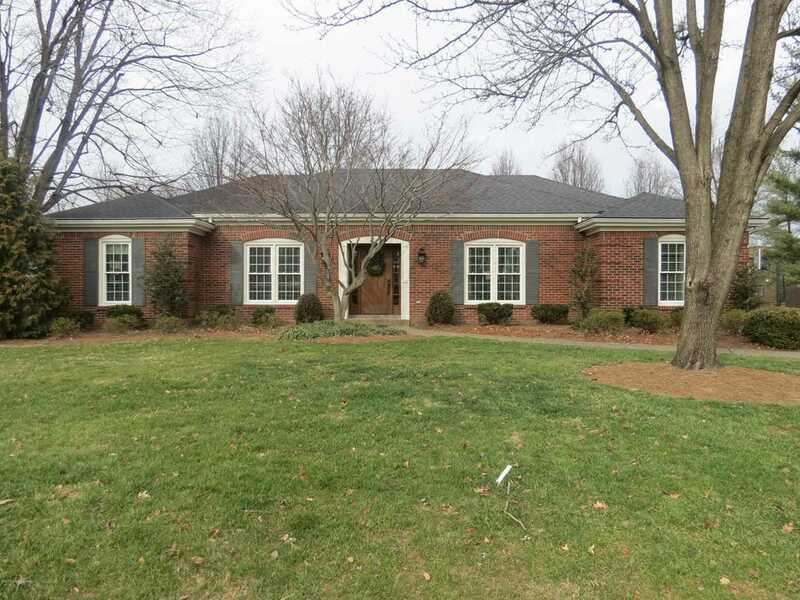 Open floor plan, hardwood floors throughout & tons of updates. Gorgeous great room w/ beamed vault, fireplace, built-in bookshelves and hardwood flooring. Great kitchen w/ new cabinetry, granite countertops, tile backsplash, stainless appliances w/ eat-in and bar area. Convenient mud room off the kitchen with half bath and laundry room on 1st floor. 4 Bedrooms all nice size. Master bedroom is large with triple window, master bath w/ tile, double sink, shower and walk-in closet. Full basement almost 1000 sq. ft. finished w/ family room, bedroom w/ egress window and full bath.... not to mention a huge storage area. Awesome patio off family room great for entertaining. Updates include: Roof, front door, windows, paint, cabinets, countertops, etc. Too many to list!! Agents & buyers...Don't miss out! Directions:Timberwood to Edgewater to Falling Tree Way to street. SchoolsClick map icons below to view information for schools near 1100 Marquis Trace Louisville, KY 40223.